Apart from smoking, you can also get a taste of cannabis using its extracts. Just like a typical cannabis bud that is used for smoking, these extracts are made to induce the psychoactive effects of THC or CBD. Extracts are considered to be the safest and healthiest route of cannabis consumption. That is why a lot of cannabis enthusiasts prefer these concentrates rather than cured buds. You could eat these extracts directly or infuse it into a variety of drinks and foods. Consequently, these extracts have been used mostly by medical patients and some recreational users as a healthy way to take cannabis into their body. If you are interested in making one, then scroll down and follow the recipes below. This form is the hardest and driest extract that exists for cannabis. These concentrates are made by liquefying and re-solidifying the trichome crystals. These crystals are targeted since most of the potent materials are situated in this area. The extraction uses a solvent. Shatters usually appear brittle, sticky, with an amber color. When heat is applied, it easily shatters off, hence its name. Rosin extraction can be done by applying heat and pressure repeatedly into the resinous sap of cannabis buds. Since it’s easily obtained and made, rosins have been used by a lot of cannabis enthusiasts as their concentrate choice. These are usually extracts that solidify during the process of extraction. These substances occur in different sizes and consistencies depending on the particular method that you’ve used to create it. This is a dry and powdery pollen that is obtained from the trichomes of cannabis flowers. This substance contains a variety of cannabinoids that induce psychoactive effects. They are usually used to make hash and exist as yellow and small particulates. A primitive extract that is made from a powdery resin called kief. These concentrates are made through compression. Nevertheless, hash has identified to have been used by some of the oldest civilizations, particularly in the Arab regions. These concentrates are made by freezing freshly harvested cannabis plants. These extracts are highly potent since the buds did not undergo any drying process. They have an excellent flavor keeping a lot of the taste of the cannabis plant. They range in a variety of colors from light amber to yellow gold with the shiniest being the strongest one. Similar in appearance to a bee’s honeycomb, this extract has a waxy like texture, an amber color with a strong aroma and flavor. This concentrate is made using a solvent through the closed-loop extraction system. All of these extracts named above are usually classified into two different extraction processes. The solvent and non-solvent extractions respectively. Usually, solvent extractions are a bit more complicated. You’ll require several tools, equipment, and solvent to be used in order to make one. Thus, these extraction methods can not be done manually just anywhere. 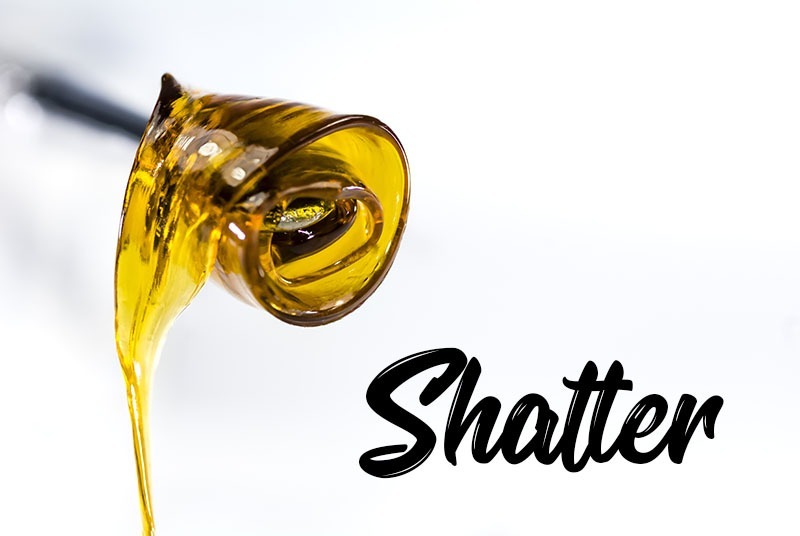 Examples of these extracts include honeycomb, wax extracts, and shatter. Non-solvent extractions are those extracts that are manufactured using only pressure, heat, and water with the cannabis buds. Normally, these methods are easily implemented, eliminating all the solvents and equipment that is used to make solvent based extracts. Later on in this article, we’ll dig into how these non-solvent extractions are made more specifically. Fold the 4×4 inch parchment paper in Slightly press your fingers on the paper. On the inside of this paper, you will place the cannabis material. Carefully, spread the buds out in the parchment paper. Make sure that you distribute the buds evenly. Turn the hair straightener on at the lowest temperature setting (280-330F). Then, using the straightener, apply firm pressure for about 5-7 seconds on the parchment paper. Once you’ve heard a crack-like sound, then this indicates that the buds have already melted. Remove the straightener, open the parchment paper, and collect the melted buds using a dab collecting tool. Transfer what you’ve collected into a clean container. Repeat the process as needed. Sort the cannabis buds and carefully place the buds into the grinder. Make sure to use a grinder that can handle the buds, shredding them into very small pieces also known as kief. Using the kief previously obtained, carefully pour it out into the parchment or wax paper. Fold the paper into a tight square or rectangular package. Tape or seal it off. Pour hot water into a jar and close it tightly using a lid. After that, roll this jar onto the paper repeatedly, pressing down as needed. Do this operation for 8-10 minutes. If needed, replace the hot water from time to time maintain the heat. After this, refrigerate and freeze the package for 30-60 minutes until frozen. Unwrap, then enjoy your hash!